The story is told about a young pastor who stood in the doorway of his church and greeted everyone as they left. Now, most of his congregants smiled politely and went on their way. But the last one in line was an older man who always said what was on his mind. "Young man," he complained. "I have a serious problem with your sermon." "What's that?" the pastor asked. "I need to know what God's Word says about my life, but you never said anything that applied to me." Well, at one time or another, most of us have heard sermons that fail to address the personal needs we face. And we all need the encouragement, the practical guidance and the correction that the Bible has to offer us. So, as much as we may like to stick with generalities or theoretical matters, we simply must learn how to apply the Scriptures in practical ways to our own lives and to the lives of others. This is the eleventh lesson in our series He Gave Us Scripture: Foundations of Interpretation, and we've entitled it "Modern Application for Individuals." In this lesson, we'll see how we should apply Scripture to others and to ourselves as individual people. As we've seen in other lessons, anytime we apply the Bible to our day we must take into account three types of distance that exist between the original audiences of Scripture and modern audiences: epochal, cultural, and personal distances. On a large scale, we must explore theological developments that took place as biblical history moved from one great epoch to another. On a slightly smaller scale, we need to account for the similarities and differences between God's design for cultures in biblical times and his design for modern cultures. And within these frameworks, we must also consider the personal similarities and differences between Scripture's original audiences and modern audiences. In this lesson, we'll look primarily at this last dimension of modern application as we consider how the Scriptures should impact the concepts, behaviors and emotions of individuals today. There are many ways to approach modern application for individuals, but in this lesson, we'll deal with two main issues. First, we'll see that God has ordained variety in our individual application of the Scriptures. And second, we'll explore how God has provided ways for us to gain wisdom in our application of the Bible, for ourselves and others. Let's look at each of these topics, beginning with the variety in individual application. At one time or another, most of us have read an instruction manual for operating some kind of machine or electronic equipment. Now, operating manuals usually describe every detail of simple processes so that every person will do exactly the same thing: "Do this. Do this. Do this," and everything will work like it's supposed to. But can you imagine someone writing a detailed operating manual on topics like farming, raising a family or running a business? Of course not. These tasks are too complex to be described step-by-step. And different people must do them in different ways as they face various circumstances. At times we may wish that the Bible was like an operating manual that spells out specific steps for every person to follow. It certainly would make individual application of God's Word much easier. But everyone familiar with the Bible knows that it doesn't do this. Instead, the Bible deals with some of the most complex issues imaginable — far too complex for step-by-step directions. And more than this, the Bible was designed to be used by many different people in many different circumstances. For these reasons, the Scriptures were written to be applied to individual people in a variety of ways. To understand the variety in individual application, we'll note first the variety within biblical instructions themselves. And second, we'll see why these different instructions must be applied in various ways to different people and circumstances. Consider first the variety of biblical instructions. As we suggested a moment ago, unlike step-by-step manuals, books on farming, family, business, and the like usually offer their readers multiple instructions ranging from the broad to the specific. Typically, these kinds of books identify a few universal principles that everyone should observe under all circumstances. They also offer some general guidelines that apply to most circumstances. 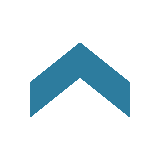 Beyond this, they frequently provide an assortment of instructions for dealing with rather specific situations that may arise from time to time. Lastly, these kinds of books often include case studies that illustrate examples of success and failure. In many ways, the Scriptures reflect the same range of instructional variety. They provide some universal principles for everyone to follow at all times, general guidelines for many people in many circumstances, specific instructions for particular people and situations, and examples of people who succeeded or failed in observing the instructions of Scripture. It will help to look at this range of biblical instructions in two ways. First, we'll see how these types of instructions appear in the Old Testament, and then we'll consider how this range of instructions also appears in the New Testament. Let's begin with the Old Testament. Teacher, which is the greatest commandment in the Law? (Matthew 22:36). In this well-known scene, Jesus gave his followers his authoritative outlook on all the commandments of the Bible. He identified the command to "Love the Lord your God" from Deuteronomy 6:5 as the law of the highest order. And without being asked, he immediately added the second greatest commandment: "Love your neighbor as yourself" from Leviticus 19:18. From his point of view, these two commandments had priority over every other biblical instruction. Of course, God himself and humanity as the image of God are very important in the Bible. But it helps to remember that Jesus put these two commandments together because they share a common focus. They both speak of love. Above all, we are to love God and love our neighbor. So, it's no wonder that Jesus gave these commandments priority over all others. They deal with the deepest issues of the heart — the attitudes, commitments, motivations and goals that God expects of his people. In effect, from Jesus' point of view, love for God and love for neighbor are universal principles in the Old Testament, commandments that every person is to observe no matter what happens. These two commandments were so important to Jesus that he added, "All the Law and the Prophets" — a way of referring to the entire Old Testament — "hang on these two commandments." Now, we have to be careful here because many interpreters have taken this to mean that Jesus' followers should discount or disregard all instructions of the Old Testament except love for God and neighbor. But just the opposite is true. Anyone who breaks one of the least of these commandments and teaches others to do the same will be called least in the kingdom of heaven (Matthew 5:19). This verse and other passages make it clear that Jesus' followers were to observe all of the commandments, from the least to the greatest. You hypocrites! You give a tenth of your spices … But you have neglected the more important matters of the law — justice, mercy and faithfulness. You should have practiced the latter, without neglecting the former (Matthew 23:23). Notice that Jesus referred to "justice, mercy and faithfulness" as "the more important matters of the law," and he contrasted them with the lesser issues of giving "a tenth of your spices." Once again, he indicated that his followers were to observe all Old Testament commands, but that they had to keep the right priorities in mind. It helps to visualize Jesus' outlook on God's instructions in the Old Testament in the form of a mobile. At the top of the mobile you would have the universal principles, the two greatest commandments: "Love the Lord your God" and "Love your neighbor as yourself." We're told that "All the Law and the Prophets hang on these two." Beneath these hang additional principles that indicate how the greatest commandments are to be observed. These include the many general guidelines found in the Old Testament like the Ten Commandments and principles like justice, mercy and faithfulness. Beneath these broad principles hang the "least of these commandments." These are the relatively specific instructions in the Old Testament that indicate how different people in certain circumstances are to observe the higher commands. For instance, the instructions for worship in Leviticus, the directives of the Psalms, and many instructions found in wisdom books such as Job and Proverbs and prophetic books like Isaiah and Ezekiel. At the bottom of the mobile, are numerous historical examples that appear most often in Old Testament narratives and in the Psalms and wisdom books as well. These passages focus on the ways particular men and women either obeyed or disobeyed the commands of God in their specific circumstances. This hierarchical arrangement helps us understand many facets of how Jesus wanted his disciples to deal with the full range of instructions that appear in the Old Testament. With this Old Testament background in mind, let's consider the variety of biblical instructions in the New Testament. It's easy for everyone to see that the New Testament is much shorter than the Old Testament, but this doesn't mean that New Testament authors reduced the number of instructions for God's people. In fact, the list of teachings for the early church was actually longer than the list for ancient Israel. New Testament writers didn't replace the Old Testament. Rather, they added to the Old Testament. Now, the addition of more instructions in the New Testament raises an important question. Why did New Testament authors add their own instructions to the teachings of the Old Testament? As we saw in an earlier lesson, New Testament authors didn't want Christ's followers to forget any Old Testament instructions, but they also didn't want them to live as if they were in Old Testament times. So, to keep their audiences from slipping into the ways of the past, they taught the early church how to apply the Old Testament instructions in the new covenant age. New Testament authors acknowledged Old Testament instructions, but with the understanding that when Jesus first came, he brought the inauguration of God's messianic kingdom. They also realized that Old Testament instructions should be seen through the Holy Spirit's work as he spread God's kingdom in the continuation of the new covenant age. And they viewed the Old Testament in terms of what Christ would do when he returned in glory at the final consummation of the messianic kingdom. Throughout it all, New Testament authors emphasized that followers of Christ must maintain the priorities that Jesus established. In the first place, the universal principles of love for God and love for neighbor continued to be the greatest commandments, as we see in passages like Luke 10:27, 1 Corinthians 13:13 and 1 John 4:21. No matter what happens, New Testament believers are to give their hearts to loving God and loving their neighbors. In the second place, New Testament authors also called attention to the Ten Commandments and other general guidelines in the Old Testament in passages like Matthew 19:18 and Romans 13:8-10. In the third place, New Testament authors gave specific instructions for specific people and situations as we read in 1 Corinthians 14 and 2 Timothy 4:1-5. And in the fourth place, we see numerous concrete historical examples of people who obeyed and disobeyed the commands of God in the Gospels and the book of Acts and in a variety of other passages. As we've seen, the subject matter of Scripture is so complex, and there are so many different instructions for God's people in the Bible, that we can't possibly keep every instruction in the forefront of our minds. But the New Testament helps us see how we should manage these various commands. On the one hand, we need to maintain the priorities that Jesus taught his disciples to observe. If we don't, we can become lost in the details of Scripture, much like the Pharisees did in Jesus' day. Specific instructions are important as we deal with certain issues, but much more of our attention should be given to weightier matters — above all to loving God and neighbor. Every moment of every day we must be motivated and directed by these two greatest commandments. Second, despite these priorities, we need to remember that, in one way or another, every biblical instruction is relevant for every follower of Christ. As we encounter different kinds of choices, we should draw not only from Scripture's universal principles, but also from the many general guidelines, specific detailed instructions and concrete examples we find in the Bible as we seek to serve God faithfully. Having seen how variety in individual application of Scripture is related to the diversity of biblical instructions, let's turn to a second factor that leads to variety in application: the different people and circumstances involved. We'll begin by reviewing something we saw in a preceding lesson. As you'll recall, God has always led his people toward cultural variety by revealing his will through Scripture and through general revelation — his disclosures of himself and his will in people and circumstances. In this way, God ordained some measure of cultural diversity for his people. In many respects, the same kind of thing is true for our individual lives. God reveals his will through the many diverse instructions contained in Scripture, but to apply these instructions to others and ourselves, we must take into account God's general revelation in a variety of people and circumstances. We can see how variations among people and circumstances affect individual application by returning to Jesus' hierarchy of instructions. For the sake of simplicity, we'll divide our four categories of instructions into "higher" or more general biblical instructions, and "lower" or more specific biblical instructions. Let's start with the higher biblical instructions. The Bible's higher instructions include both universal principles and general guidelines. As we've seen, these types of instructions have priority over others because they apply more broadly. But even so, they must still be applied in different ways in the light of God's general revelation. On the one side, to apply the higher biblical principles, we must assess the characteristics of the person involved. We have to account for things like the individual's spiritual condition, social status, abilities, age and gender. Knowing these and other characteristics helps us discern how the higher principles of Scripture should impact the concepts, behaviors and emotions of the individual in view. Imagine that I walk into a room and ask a group of friends a couple of questions. First, I ask, "Do you believe that all of us should do the right thing?" Well, naturally all of them will reply, "Of course." But then I follow up with a second question, "Okay then, what are each of you going to do when you leave this room today?" Now, we wouldn't be surprised at all to find that each person was going to do the right thing, but in different ways. "I'm going home to take care of my children" one person might say. Or, "I'm going to the store to buy some food." In fact, we would be shocked if they all planned to do the right thing in precisely the same way. And it isn't hard to understand why. General instructions like, "Do the right thing" have to be applied to different people and circumstances in a variety of ways. We've already noted that the universal principle "Love your neighbor as yourself" in Leviticus 19:18 is an instruction that applies to every person in every circumstance. But we also know that God doesn't expect all people to observe this command in exactly the same way. An adult may show love in one way, while a young child will show love in another way. A wealthy person and a poor person might demonstrate love for others in different ways as well. Each person's abilities, weaknesses, experiences, spiritual condition and the like affect how the universal principle of love for neighbor should be applied. On the other side, "Love your neighbor" also applies in a variety of ways to different circumstances. Even the very same person might love his or her neighbor in different ways at different times. Each person faces different obstacles, challenges and opportunities. And these circumstances require each of us to apply biblical principles in ways that may not be appropriate for people in other circumstances. For instance, love for neighbor is different in times of war and peace, in times of plenty and scarcity, in times of sickness and health. The higher principles of Scripture must be applied in various ways according to our circumstances. Having seen how variety in people and circumstances requires us to apply the higher biblical instructions in different ways, let's turn to the lower elements in Jesus' hierarchy of instructions in Scripture. For our purposes, the "lower" instructions include the Bible's specific, detailed instructions and the concrete historical examples that help us apply Scripture to ourselves and others. Just as with the higher instructions, the lower instructions are applied differently depending on the variety of people and circumstances involved. For example, imagine a specific instruction like, "build a safe house for your family." A person in a cold climate will build a house differently than a person in a warm climate. A home in an area subject to hurricanes will require different structural elements than a home in an area subject to earthquakes. The higher principle here is that a person must keep his or her family safe. The specific instruction is to build a house to fulfill this higher principle. And anyone building a house will benefit from examples of similar houses in similar circumstances. But no two people will act on the specific instruction in exactly the same way. Something like this takes place every time we apply a relatively specific biblical teaching to our individual lives today. First, we take into account the higher instructions, as well as other closely related specific instructions that orient us toward the teaching in view. Second, we identify the people and circumstances originally impacted by the specific instruction. And third, we compare our own lives with the original audience of the specific teaching to discern how we should apply it to ourselves. If there is serious injury, you are to take life for life, eye for eye, tooth for tooth, hand for hand, foot for foot, burn for burn, wound for wound, bruise for bruise (Exodus 21:23-25). But now listen to Matthew 5:38-39, where Jesus taught his followers to apply this law to their personal lives in his Sermon on the Mount. It's important to realize that Jesus didn't disagree with the Old Testament teaching for judges and legal systems. Like all of us, Jesus knew that love for God and neighbor in a court required just verdicts. The problem Jesus faced was that the Pharisees had taken this regulation for judges as justification for taking revenge in personal interactions. But when we compare this instruction with the higher principles in Scripture and with other "lower" instructions, we can understand what Jesus taught his disciples here. In effect, Jesus implicitly called on his followers to compare themselves with the original audience of Exodus 21. Every person should endorse justice and fairness for legal systems. And when we have roles that resemble those of a judge, we should apply Exodus 21 more like a judge in court. But we are never to act like judges in our personal relationships. Our ordinary, personal interactions are not to be governed by justice alone, but as much as possible by mercy and kindness. Go, sell your possessions and give to the poor, and you will have treasure in heaven (Matthew 19:21). The larger context of this verse makes it clear that Jesus gave this lower instruction because the rich young ruler loved his money so much that he had violated the higher principles of love for God and neighbor. And he'd made love for money his highest priority. People sometimes wonder if this passage requires every rich person in the modern world to sell their possessions and give them to the poor. But we must take into account the higher principles of Scripture regarding personal property and wealth. We must also compare this lower, more specific teaching to other teachings that Jesus and New Testament writers gave regarding possessions. So, how do we decide what wealthy people should do with their money? The answer lies in comparing individuals and their circumstances today with the rich young ruler. The more we resemble him, the more our modern application should resemble what he was to do in his day. 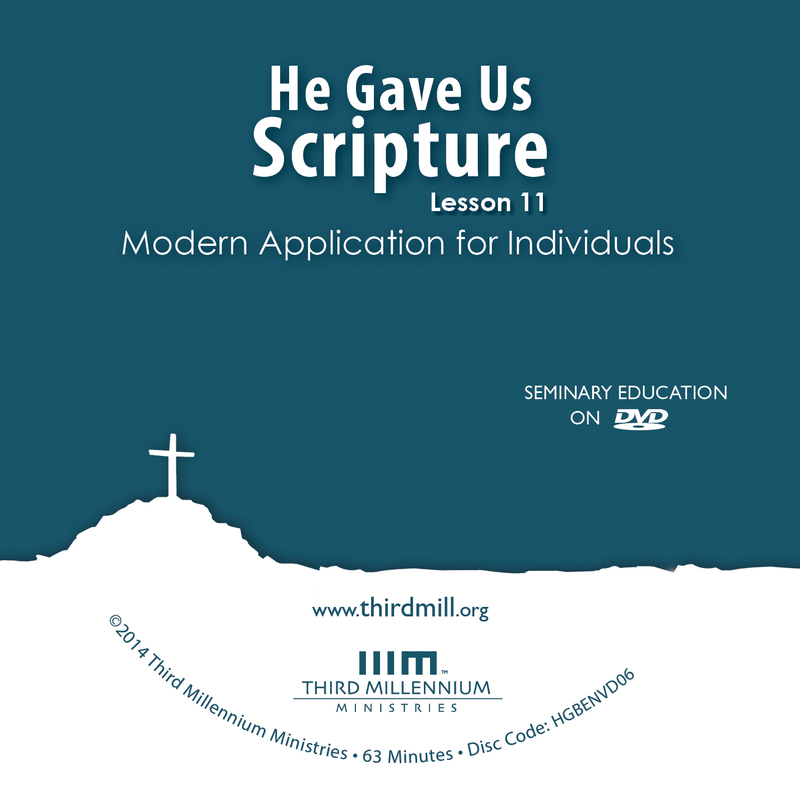 So far in this lesson on modern application for individuals we've seen how, to one degree or another, modern individuals must apply the Scriptures in different ways because of the variety in individual application. This leads us to our second main topic: our need for wisdom in application. In many parts of the world, Christians can pick up a Bible and read it just about any time they want. And as wonderful as this is, it's also led many of us to be highly selective in the ways that we apply the Scriptures to our personal lives. We affirm in theory that all Scripture is God-breathed. But rather than dealing with the Bible's manifold instructions for different people in various circumstances, we simply cull through the Scriptures privately and look for something that easily applies to our lives. This widespread practice is understandable because many times the Bible is very complicated. But in reality, the Bible was not written to be handled in this way. Rather, God ordained that the Scriptures should be read as his people interact with each other. With the help of others, we can gain the wisdom we need to apply even difficult portions of the Bible to our lives. As we'll see, even though the Holy Spirit can give us extraordinary insights into the application of Scripture, God has clearly ordained that, in general, we're to gain wisdom in application by interacting with others. Ancient Israelites and the early church had no printing presses, no publishing houses, no means for the mass distribution of Scripture like we have today. And even if the Scriptures had reached the hands of most people, they wouldn't have been able to read them. So, God expected individuals to learn how to apply the Scriptures by interacting with each other in community. We'll explore two ways that wisdom in individual application develops through interactions with others. First, we'll look at the vital role of God's appointed leaders as the primary recipients of Scripture. Second, we'll explore the necessity of community in the dissemination, or spread, of Scripture among God's people. Let's look first at the crucial role of leaders in individual application. Although evangelicals generally think of the Bible as a book designed for individual believers, a number of indicators suggest that biblical authors wrote with a very different outlook. Instead of writing directly to all people in Israel and in the early church, Scripture's authors wrote first to the leaders of God's people who were ordained to explain and disseminate the teachings of Scripture. We'll look first at how the Bible primarily addressed leaders in the Old Testament and then also how this occurred in the New Testament. Let's begin with the Old Testament. In the Old Testament, normally only people like priests, Levites, prophets, sages, judges, kings, and other nobles could read and study the Scriptures firsthand. Because of this, Old Testament authors primarily addressed the leaders of Israel. We can see evidence of this in at least three ways. In the first place, there are a number of explicit references to Israel's leaders as the primary recipients of Old Testament books. To mention just a few examples, passages like Deuteronomy 31:9 and 2 Kings 22:8-10 indicate that the Law of Moses was kept under the care of Levitical priests. And many of the instructions in the Book of the Covenant in Exodus 21:1–23:9 were called "judgments" — mishpatim in Hebrew — because they were written as case laws for judges to apply in their courts. And in passages like Proverbs 1:1 and 25:1, superscriptions giving introductory information show us that the proverbs were collected by high-ranking wise men and royal figures for use in the royal court of Judah. These and many other references indicate that Old Testament books were written first with the leaders of Israel in mind. In the second place, the contents of Old Testament books also show that they were written primarily for Israel's leaders. Many Old Testament books spend a lot of time on subjects that had little direct relevance for the daily lives of most Israelites. For example, the lengthy instructions regarding the building of the temple in 1 Kings 6 pertained only indirectly to the life of an average shepherd, farmer or craftsman in Israel. In much the same way, the reflections in Ecclesiastes on the futility of pursuing riches, pleasure, fame and the like were far from the challenges facing the vast majority of Israelite men and women. Rather than giving instructions that spoke directly to the needs and challenges facing every individual in Israel, much of the content of Old Testament books was more directly pertinent to the needs and challenges facing Israel's leaders. In the third place, the complexities of Old Testament books also reveal that they were primarily designed for leaders in Israel who were gifted, experienced and wise. To be sure, many portions of the Old Testament were simple enough even for children to understand. But anyone familiar with the Old Testament knows that the complexities of many Old Testament books challenge even the most expert readers. As just one example, prophetic books like Isaiah and Jeremiah are so intricately constructed that an average Israelite would have found them bewildering. On the whole, it's apparent that Old Testament books were not written to instruct every individual in Israel directly, but primarily to instruct the leaders of the nation. In many respects, just as the leaders of Israel were the first audience of Old Testament authors, writers of the New Testament also designed their books for leaders in the church, like apostles, prophets, evangelists, pastors, teachers, elders, deacons and other leading figures. In the first place, some New Testament books make explicit references to leaders of churches as their primary recipients.  For instance, 1 and 2 Timothy were addressed to Timothy, Paul's "son in the faith." And the book of Titus was addressed to Paul's protégé, Titus. Both of these men became influential leaders in the early church. In the second place, the contents of New Testament books also point to church leaders as the first recipients. When we consider New Testament books in their historical settings, it isn't difficult to see that they often concentrate on matters that were unfamiliar to most first century believers. As just one example, many New Testament books were written to largely Gentile congregations, to people who had little knowledge of the Old Testament. Still, New Testament authors referred to Old Testament texts hundreds of times, and often with little explanation. It's highly likely that New Testament writers expected knowledgeable leaders to be able to understand these and other instructions that were unfamiliar to many early Christians. In the third place, the complexities of New Testament instructions also indicate that their primary recipients were educated and wise leaders. Although much of the New Testament could have been understood easily, many portions were very difficult for early Christians to grasp. Even the apostle Peter famously remarked in 2 Peter 3:16 that "[Paul's] letters contain some things that are hard to understand." Time and again, New Testament authors wrote with such theological sophistication that their letters were simply beyond the reach of most ordinary believers. And for this reason, gifted leaders of the church were responsible for teaching and explaining the Scriptures to those who couldn't read and understand them for themselves. Knowing that the leaders of God's people were the primary recipients of biblical books has many implications for modern Christians. Church history has demonstrated the abuses of Scripture that arise when individual believers are too dependent on their leaders. But we must also be careful not to go to the other extreme and assume that we don't need Christian leaders. Much like God ordained leaders to deal with unfamiliar content and complexities of the Scriptures in biblical times, modern followers of Christ need experienced leaders, blessed by the Holy Spirit with knowledge and wisdom, for the same reasons. In fact, even the Bibles in our hands — including the Hebrew, Aramaic and Greek texts some of us read — come to us through leading scholars, expert leaders in fields like textual criticism, collating, editing and publishing of ancient texts. And more than this, the modern translations of Scripture that most Christians use today result from the work of leading experts in ancient Hebrew, Aramaic and Greek and in the art of translation. Although private study of Scripture is valuable in many ways, there's no substitute for identifying trustworthy leaders and benefitting from the gifts that the Holy Spirit has given them as we seek to apply the Scriptures to our lives today. Having seen that developing wisdom in application includes interacting with God's ordained leaders, let's turn to our second issue: the necessity of community in the spread and application of biblical teaching. Ordinary individuals in Israel and the early church didn't have direct access to the Scriptures. So, how did they ever apply the Scriptures to their lives? In brief, biblical authors wrote with the expectation that leaders would disseminate, or spread, the Scriptures so that God's people would apply them together in community. We'll see the importance of community in the personal application of Scripture by looking at how the Scriptures were shared by the community of God's people in the Old Testament. And then we'll explore how they were disseminated in the New Testament. Let's begin with the Old Testament. When it comes to the Old Testament, we know that many narratives, laws, proverbs, psalms, prophetic speeches and the like were spread orally before they were collected in biblical books. But in this lesson, we're more interested in how the written records of these teachings spread beyond the leaders who first read them. There are many clues that help us grasp how the contents of Old Testament books were distributed within the larger community of Israel. For example, in Deuteronomy 31:9-29, Moses first gave God's Law to the Levitical priests. Moses then instructed the Levitical priests to read the Law during the Feast of Tabernacles so that men, women and children could hear and learn the Law. In addition, God also commanded Moses to put the blessings and curses of the Law into a song so that people could sing it as a constant witness of God's will for them. Beyond this, passages like Deuteronomy 17:8-13 indicate that Levites and judges in Israel's courts applied the Law of God to the people and instructed the general population about the Law's implications. And 1 Kings 3:16-28 demonstrates a similar practice in the royal court. 2 Kings 23:1-3 indicates that in times of covenant renewal the king read Scripture aloud to the people and directed the implementation of the Law. Ezra 10:16 shows that tribal elders applied God's Word to the lives of those they served. Parents were commanded to teach their children the regulations of Passover in Exodus 12:27. In fact, Moses' instructions in Deuteronomy 6:6-9 show that the Law was to be taught to children at every opportunity. And of course, as the instructions of Scripture reached the general population of Israel, the members of the community encouraged each other to follow what they knew about the teachings of Scripture. I have hidden your word in my heart that I might not sin against you. Praise be to you, O Lord; teach me your decrees… I rejoice in following your statutes … I meditate on your precepts and consider your ways. I delight in your decrees; I will not neglect your word (Psalm 119:11-16). In this passage, the psalmist explained what it meant to hide God's word in his heart. He "rejoice[d] in following [God's] statues." He "meditate[d] on [God's] precepts" and "delight[ed] in [God's] decrees" as he sought to apply them to his personal life. Now that we've considered how crucial the community of God's people was to spreading the Scriptures in the Old Testament, let's look at similar practices observed in the New Testament church. To a large extent, the early church community patterned the way it received the Scriptures after the practices of first century synagogues. Church leaders were responsible to read and explain the Scriptures so that God's Word would spread throughout the community. We can see this pattern in the familiar story of Jesus in the synagogue of Nazareth in Luke 4:14-29. In these verses, Luke reported that Jesus attended a gathering at the synagogue. The leaders of the synagogue handed him a scroll, and Jesus dutifully stood and read from the portion of Isaiah that they had given him. Then, after handing the scroll back to the attendant, Jesus sat down and explained how the words he had read applied to the congregation. Here we see that Paul expected his letter to be read to the congregation at Colosse and "also read in the church — or congregation — of the Laodiceans." As this passage shows, New Testament authors wrote with the expectation that church leaders would read and explain their books in the gatherings of the church. Rather than passing Bibles out to every person and sending them home to study on their own, early Christians learned and applied Scripture primarily in community, through public readings and explanations of Scripture under the supervision of their leaders. And family members, friends and neighbors helped each other apply these teachings as they spread among God's people. Much like in the Old Testament, this community interaction equipped believers in the early church for the practice of personal meditation. Early Christians memorized New Testament teachings and meditated on their significance for their personal lives. This is one reason why the New Testament contains Jesus' parables and other easily memorized teachings like the Beatitudes in Matthew 5 and the Lord's Prayer in Matthew 6. It helps us understand why a number of passages appear to have been early Christian hymns like Philippians 2:6-11 and Colossians 1:15-20. It also explains why Paul's words in 2 Timothy 2:11-13 seem to have been well known in the church. Reflect on what I am saying, for the Lord will give you insight into all this (2 Timothy 2:7). Paul called for Timothy to "reflect on" what he'd written. And Paul expected "the Lord [to] give [Timothy] insight into all this." Through meditation, the Lord would teach Timothy the significance of Paul's inspired words so that Timothy could apply them to his personal life. As we've seen, the ways that ancient Israelites and early Christians applied the Scriptures to their personal lives was very different from the common practices of our day. Leaders in Israel and the early church first received the Scriptures and then disseminated portions of them to the broader community of God's people. And in the context of interacting with others, individuals were to recite and to meditate on the Scriptures they knew with the expectation that God would lead them in the application to their personal lives. So, what implications do these practices have for us today? What do they say about the ways we should apply the Scriptures to our personal lives? At least three implications come to mind for those who hope to gain the wisdom necessary for applying Scripture to their individual lives. In the first place, modern followers of Christ need to learn how much we need leaders gifted by the Spirit to bring the teachings of Scripture to us. We saw that the Bible's original audiences needed their leaders to help them with unfamiliar and complex teachings. If this was true for people living in the days of the Bible, it certainly is true for us today. We may hold Bibles in our hands, but we still need wise and experienced leaders to help us as we try to apply the Scriptures to our lives. In the second place, modern followers of Christ need to reaffirm the importance of interacting with the larger Christian community, the body of Christ, as we seek to apply the Scriptures. In this sense, the old adage holds true. "Two sets of eyes are better than one." In fact, three, four, five … a thousand sets of eyes are better than one. The simple fact is this: At one time or another, every follower of Christ has thought a particular application was perfectly appropriate, only to discover through interactions with others that it was not. When we remember that the body of Christ is the temple of his Spirit, we realize that one of the wisest things modern Christians can do is interact with other faithful Christians as they apply the Scriptures to their personal lives. He writes the same way in all his letters speaking in them of these matters. His letters contain some things that are hard to understand, which ignorant and unstable people distort, as they do the other Scriptures, to their own destruction (2 Peter 3:16). In the third place, modern followers of Christ also need to find wisdom in application by renewing the practice of individual, prayerful meditation on Scripture. Even though interacting with leaders and with the larger body of Christ is important, every Christian will give an account for what he or she has done. So, in the end, individual application, as Paul put it to Timothy, must never be reduced to something we do apart from seeking for the Lord to "give [us] insight." Through prayerful meditation, the Spirit of God will grant us insight and heartfelt conviction that we're applying the Scriptures in ways that please him. In this lesson on modern application for individuals we've looked at two facets of applying the Scriptures to ourselves and others as individuals. We noted that variety in personal application of Scripture must account for the variety of biblical instructions and the variety of the people and circumstances involved. And we also explored how wisdom in biblical application relies on interaction with God's ordained leaders and with the community of God's people to help us as we prayerfully meditate on Scripture in the presence of God. The Bible is a wonderful gift from God, our only unquestionable rule of faith and life. No other standard is adequate to guide our individual concepts, behaviors and emotions in God's service. The Scriptures are filled with the variety of instructions that we need as we deal with the varieties of life. And God has also provided us with the way of wisdom that we need to deal with this variety in Scripture by calling us to learn and to apply the Scriptures in community with each other. If we keep these perspectives in mind, we'll be better equipped to apply the Scriptures to our individual service to God every day of our lives. Dr. Donald S. Whitney is Associate Professor of Biblical Spirituality and the Senior Associate Dean of the School of Theology at The Southern Baptist Theological Seminary.